The Last Utopia assesses how deeply rooted in history the notion of "international human rights" is. I have long been fascinated by this question since human rights--together with the advocacy and mobilization that surround it--seem so appealing and prestigious in today's developed world. 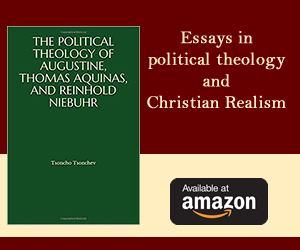 And while there are many arguments and much detail in my book, my hope from the beginning was that I could address a simple problem: when exactly a concept so central to the moral consciousness of so many idealists today became the highest cause for them to defend. I offer an unexpected answer: it was born yesterday. I show that human rights crystallized in the moral consciousness of people only in the 1970s, whether in Europe, Latin America, or the United States. To make this argument I look back at prior meanings of rights claims, which certainly were made--but, I contend, worked very differently. I also examine carefully eras in which the notion could have spread in a broad-based movement, and could have crystallized as a touchstone, but failed to do so: notably the aftermath of World War II when many people dreamed of a new deal and during the decolonization of the globe that followed almost immediately. I also look more carefully at international lawyers, to ask when they became so concerned with human rights; my answer is that it was around the same time as everybody else. There were many reasons this happened. The chief one, I suggest, is a widespread disappointment with earlier, hitherto more inspirational forms of idealism that were failing. Human rights took their place. 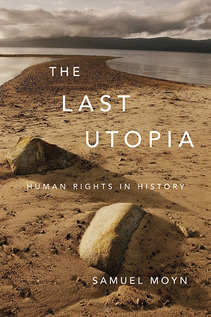 Hence the book's title: human rights emerged as the last utopia. Now it's true that a thousand ideologies across history make morality and humanity central. But they do so in starkly different ways than in human rights movements today. Even as late as the revolutionary era, when "the rights of man" became a watchword, it was universally assumed that the goal was that a state-even a nation-state-would protect them. Then there were fights within these states to define the entitlement of membership. For this reason, as I like to say, there was a "rights of man" movement before there was a human rights movement, and it was called nationalism. Yet human rights today are neither revolutionary in their associations nor offer entitlements based on common membership in a space of protection, whether within or beyond the nation-state. And while it is true that a critique of national "sovereignty" bloomed during and after World War II, when the Universal Declaration of Human Rights (1948) was framed, I also found the extraordinary attention this era gets among scholars and pundits is misplaced. It is not even clear how many people who talked of human rights in the 1940s had in mind the creation of supranational sorts of authority on which "human rights" are now based. Anyway, almost no one appealed to human rights, either in an old or new version. Far more significant was that human rights were introduced in the midst of World War II as a replacement for the liberation from empire of which most around the world dreamed--a kind of consolation prize that was therefore spurned--while in the north Atlantic world contests over a fraying wartime welfarist consensus took pride of place. The problem most confronted was not how to move beyond the state but what sort of new state to create. And in this situation the fiction of moral consensus of "human rights" provided no help. Instead, everyone accepted the political battle. Ironically, in the 1970s, the very moralistic consensus that once provided no help offered salvation. With the exhaustion of reform schemes in the East behind the Iron Curtain, and in the West with the collapse of student dissent, it did not seem feasible to dream of a better world the old way-by proposing a genuine and controversial political alternative. In the East, dissidents recognized, such programs would be crushed. A morality of human rights provided an "antipolitics" to the communist state. In the West, a moral alternative beckoned too: especially for idealists who had tried other things first and found them failures too. It also made sense in an America seeking recovery from the self-imposed disaster of Vietnam. For a brief moment, and to liberals most of all, Jimmy Carter's moralistic criticism of politics seemed heaven-sent. Though I am a historian, I have often been asked what the present-day implications of my argument are. One, clearly, is that thinking that international human rights have been God-given or naturally occurring, or even that they were a legacy of continuous moral insight after the great catastrophe of World War II, is mistaken. Human rights make sense in a world of decolonized states, but in which not all states are trustworthy. And they were discovered by masses of people only after those people had first tried other things, and gave up on them in despair. Our idealism is one born of disappointment, not of horror or of hope. But this suggestion does not translate easily into a set of specific consequences. If I am right, even when it comes to some of the beliefs people cherish most, history shows that they are always up for grabs. They may crystallize for a while, but even then are never stable. And this also means the burden falls on the present not to turn to the past for reassurance--but to decide for itself what to believe and in what way to change the world. History at its best liberates, but does not construct. Yet perhaps there is a lesson in the history about what sort of idealism people should or at least could seek. For the longest time in modern history, programs for bettering the world mattered, especially if they were divisive. The achievement of the nation-state required dispensing with kings and aristocrats, just as the "rights of man movement" of the twentieth century that was decolonization required that empires finally end. Human rights, in the 1940s, were bypassed because they offered the mere fiction of a moral consensus that plainly did not match the need for political choice. The 1970s began an exceptional period in which the morality of human rights made sense; if and when that period ends, the need for divisive political options may once again seem the most relevant one to meet. Samuel Moyn is Professor of History at Columbia University.